What a great honor! 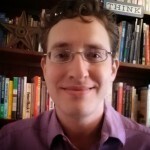 I have been selected to receive the 2013 President’s Award for Excellence in Teaching by a Graduate Student, in recognition of my teaching endeavors with the School of Journalism’s News Literacy program as well as my Sociology courses on Technology and Media. At the award ceremony, Dean Miller said some incredibly flattering things about me; but the most uncomfortable part was standing on stage (alone!) while being showered with praise. That’s not typically my style, but I had better get used to it since the alternative – not being the best I can be at what I do – is not an appealing alternative to me! Thanks so much to Dean Miller and Howard Schneider who nominated me for this award. 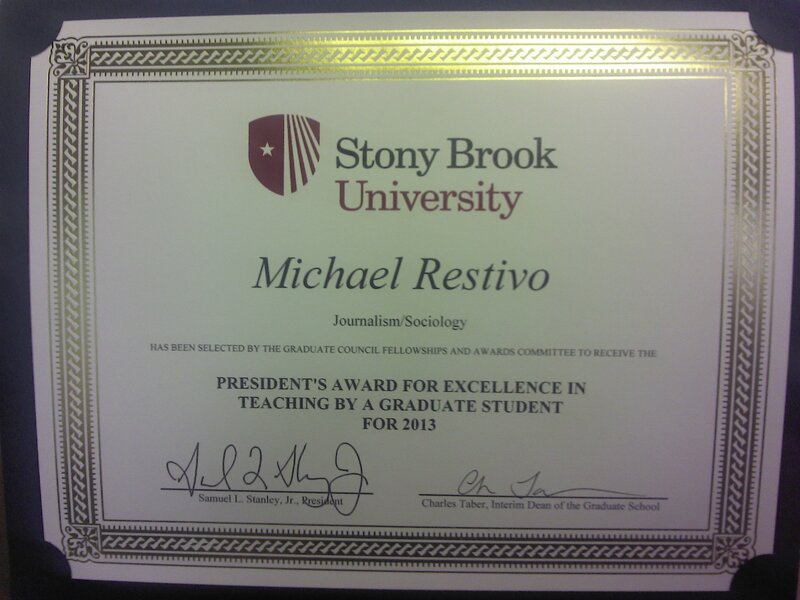 It means a lot to have my hard work and dedication to my students recognized by my university. More than that, several fabulous students wrote letters of support for me. This type of across-the-board support and recognition of my teaching proficiency is very gratifying. I hope I can continue to serve the cause of education and continue to make a difference in my students’ lives.